Advances in stem cell research offer hope for treatments that could help patients regrow heart muscle tissue after heart attacks, a key to achieving more complete recovery. 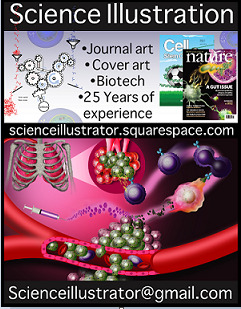 Scientists report in the journal Nature Communications a success in creating functional blood vessels in vitro for hearts of rats that had sustained a heart attack. "To our knowledge, this is the first demonstration that building organized blood vessels with perfusion outside the body leads to improved integration with host blood vessels and better tissue blood flow," said the senior author. The scientists set out to show that by growing stem cell-derived heart tissue in a petri dish, with attention to blood vessels' construction, they could improve the tissue's incorporation with existing heart vessels. Disruption to blood flow during a heart attack leads to significant loss of heart muscle and heart function. Heart muscle grown from stem cells must not only survive and integrate with the host tissue, but it must also restore adequate blood flow, explained co-senior author. "Being able to organize the vessels in the tissue outside the body was very important," the author said. "When we implanted the patch, we saw that the stem cell-derived tissue integrated effectively with the host's coronary circulation. This improved blood flow to the engineered tissue and gave it the nutrients it needed to survive." Optical microangiography imaging technique revealed that blood flow within the grafts was twentyfold higher than has been reported for any other such graft. This suggested that nurturing the tissue in the lab had a meaningful benefit for the heart cells before they were implanted into the rats' hearts, the researchers said.